Get competitive quotes on outdoor advertising in Olympic City USA! Situated on Fountain Creek and located 60 miles south of Denver, Colorado Springs is an awesome city for outdoor advertising. 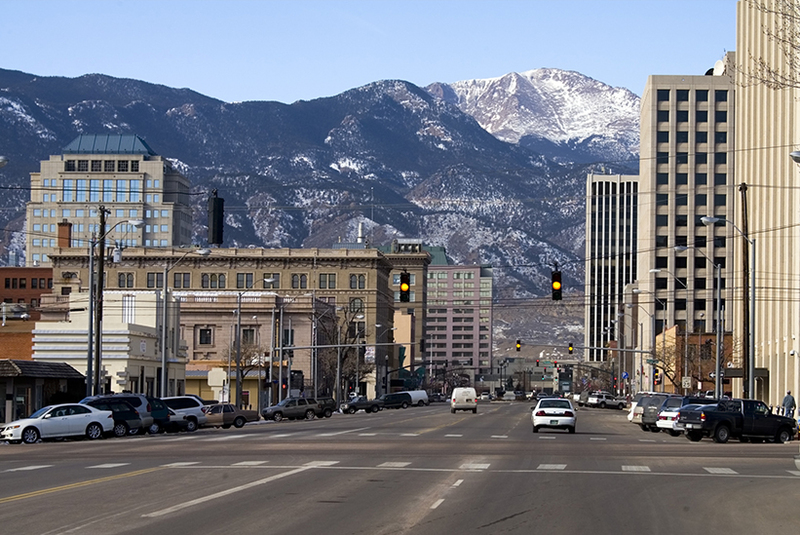 One of the most famous American mountains is Pikes Peak and Colorado Springs is located right at the base of it. The city is home to the United States Olympic Committee, the United States Olympic Training Center and 24 national governing bodies of sport. Even though the city already has the second largest population in Colorado and was ranked #5 on the list of 2016 Best Places to Live in the USA, it still attracts thousands of visitors and athletes annually. Tourism is actually the third largest employer in this Pikes Peak region bringing nearly 5 million visitors to the area annually. The circumstances do not get much better for outdoor advertising than in Colorado Springs. Your advertisement will be seen by millions of people throughout the year. Choose an advertising format from the choices below to get started. Or, begin your search on BillboardsIn’s extensive database that will get competitive quotes for you to make the process easier. BillboardsIn has access to the largest database of outdoor advertising vendors in the United States.